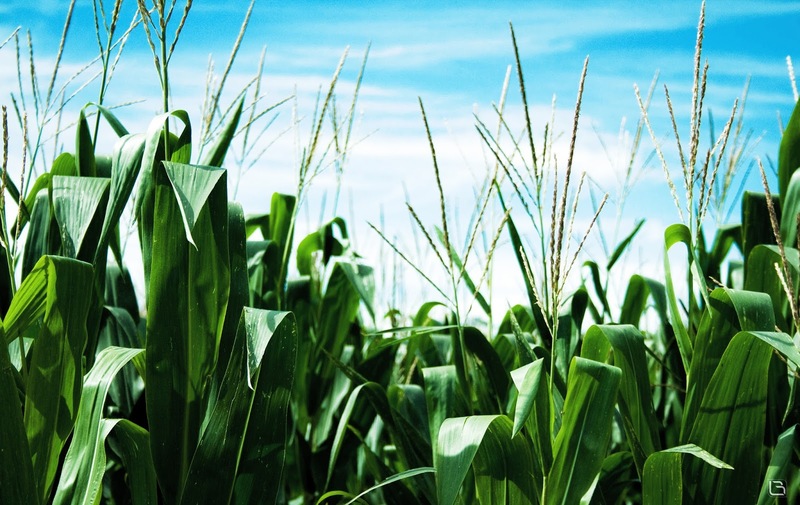 Songs of Eretz Poetry Review is pleased to present "On a Quiet Night You Can Hear the Corn Grow" by Carol Hamilton, Poet of the Month. Ms. Hamilton will also be serving as the guest judge for the Songs of Eretz Poetry Award Contest, which will run from September 1 to October 15, 2015. A detailed biography of Ms. Hamilton may be found here: http://eretzsongs.blogspot.com/2015/08/songs-of-eretz-poetry-review-poet-of.html. The contest guidelines may be previewed here: http://eretzsongs.blogspot.com/p/songs-of-eretz.html. our fingers that clawed at the earth. behind walls of more pernicious plants. We weeded the bed once. midsummer silk, lustrous and silver. attend to the promise of slow-born gifts. a fast version of how mirage turns sere in day. Poet's Notes: Many poems that I write come from something I have read that grabs my attention and somehow stirs memories. In this case I read that some Native tribes believed that you can hear the corn grow. Of course, we are rarely quiet enough to experience such a phenomenon, perhaps another promise of life in which we do not fully participate. A friend and I shared an enthusiastic and abortive project of planting corn on some land he had bought, an overgrown and waterless place. The corn project, mostly left to chance, produced little due to our negligence. The poem alludes to the fact that our relationships with each other, neglected rather than nurtured, often do not grow to their full potential. Despite the rather downer ending to the poem, the project was great fun … a kind of “tongue in the cheek” project to begin with, and the relationship flourished, but then, how many of our relationships develop as deeply as they might if we put more effort into them? This poem exhibits some of my weakness for using alliteration and sibilance. Sound is important to me in poetry, but I cannot find my way to use a mechanical counting of beats, etc. Editor's Note: This poem reminds me of a time when I planted corn, a dream on mine since childhood, back when fresh sweet corn was only available in upstate New York in July. I had just jointed the Air Force and was renting a house in Virginia. I dug up part of the backyard and planted several rows of corn. Unlike the poem, I did not neglect my little corn field, and the corn grew tall. Sadly, the ears produced were of extremely low quality and inedible (I later found out that my poor results had to do with the small size of the field--apparently corn has to cross pollinate many times in a large field in order to produce plump, healthy ears). Even sadder, I got in trouble with my landlord and and home owners' association. "On a Quiet Night You Can Hear the Corn Grow" was originally published in Potomac Review.